BCA Pool League (BCAPL) - "Be Part of Something Bigger!" 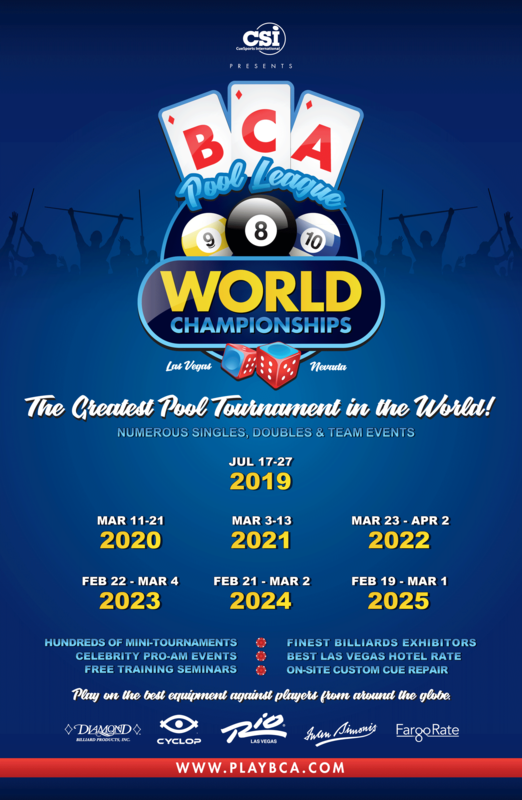 BCA Pool League World Championships: July 17-27. Click here to learn more. Predator & CSI Bring the World 10-Ball Championship to the U.S.
​CueSports International (CSI) is an international pool league and event leader and is currently comprised of three divisions: CSI leagues, CSI events and CSI media. CSI leagues manages the BCA Pool League and USA Pool League, CSI events produces numerous amateur and professional events around the globe and CSI media creates live streaming and digital content. Through its vision and strategic alliances, CSI is “shaping the future of pool.” For more information about CSI or any of its divisions, visit www.playcsipool.com or find CueSports International on Facebook, YouTube, Instagramand Twitter. The BCA Pool League is owned and operated by CueSports International (CSI), not by the Billiard Congress of America (BCA). To contact the Billiard Congress of America, visit: www.bca-pool.com.